The Sony a9 is a camera for the record books. It marks the first time that a full-frame mirrorless camera not only met but exceeded the specs of the top-end pro DSLRs. With 20 fps capture (including full AF tracking and auto exposure), the a9 is a natural for sports and news photographers, but we’ve used it to capture weddings and portraits, too. It’s an all-around performer that shows that mirrorless isn’t just hitting its stride, but is starting to take the lead. Fujifilm’s new GFX 50S is a medium-format system that’s important even for those who don’t shoot medium-format. That’s thanks to the mirrorless design, which isn’t the first in the medium-format market, but it’s one that will likely have the biggest impact on photographers everywhere because it shows how companies like Fujifilm can think outside the box. What a year it has been for mirrorless cameras. Bolstered by Nikon and Canon’s lack of presence in the space, a handful of competitors have rushed headlong into this maturing category, which didn’t really exist until a few years ago. The mirrorless space was really pioneered by Olympus, who deserves a great deal of credit for developing the Micro Four Thirds sensor and tacking when other companies were jibbing. Many companies would have seen the dominance of other manufacturers in the DSLR space and thrown in the towel, but instead, Olympus—and its partner Panasonic—decided to make a new category, one that had an interchangeable lens, but that eliminated the traditional mirror (and its benefits) for compact size and portability. The first few years of mirrorless were rocky, with debates about the image quality from the early cameras, and some people outright predicted the death of the mirrorless camera segment because of the performance benefits of DSLR cameras. But then something funny happened; other companies realized that the Olympus strategy was working. As a flood of people got into photography, thanks to their smartphones, a new market of non-photographers suddenly became photographers, and many of them valued portability over performance, as well. Even the lowest resolution “real” camera sensor still created a better-looking image than shots from the first few generations of iPhone. In the last few years, as Nikon and Canon decry mirrorless cameras, the competition in the space has only gotten stronger. This year saw another Sony a7 camera, the a7S II (following last year’s a7R II and a7 II), and it brought new bodies from Fuji lm, Olympus, Leica and Panasonic. While the price puts it out of range of most potential mirrorless shooters, Leica changed the game yet again this year with the release of the Leica SL, a full-frame, weatherproof, tank-like mirrorless camera that’s designed with the same attention to detail as the company’s storied rangefinder cameras. We’ve even seen technology that was previously the domain of mirrorless cameras begin to show up in the pro DSLR bodies. Canon’s Dual Pixel AF, which has dedicated phase-detection pixels on the imaging sensor, is the company’s proprietary version of the focus systems used in phase-detection mirrorless systems. Canon is currently using Dual Pixel for smooth video. This is probably the last year that Mirrorless will be a singular category in our Editors’ Choice awards, as there are now mirrorless cameras for every type of photographer, from the entry-level amateur to the working professional. Our Editors’ Choice Award for Best Mirrorless Camera goes to the Sony a7S II, part of the line of the best full-frame cameras on the market. While more video-centric than the a7 II or the a7R II, this year’s a7S II provides a great mix of dynamic range and best-in-class 4K video recording. 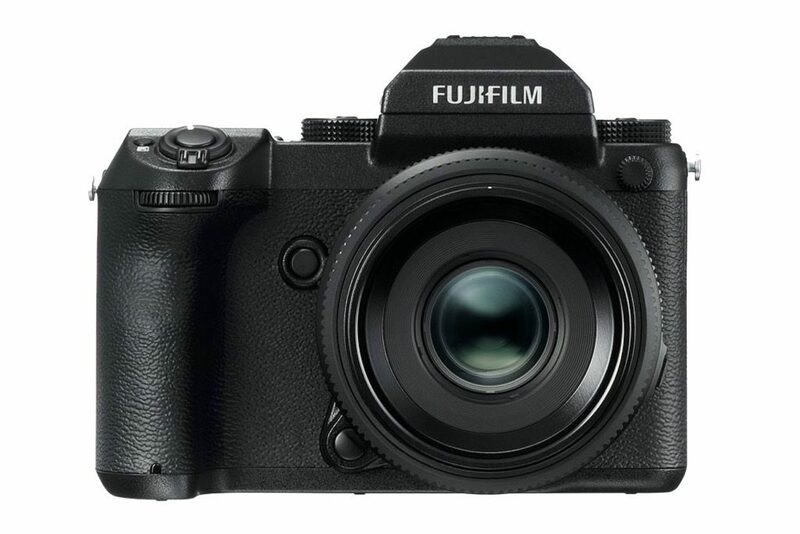 We’re also very fond of the new cameras from Fujifilm, and they have taken several spots in this year’s awards due to their attention to detail and their loving fan base. Fuji shooters love Fuji cameras, and these latest models are great examples of the evolution of an existing brand. A quick note on the Leica SL, and why it didn’t take our Best Mirrorless spot. Price aside, the SL has a few misses that mar an otherwise spectacular execution of a new class of products from the company. On the plus side, the body is nearly waterproof—it’s designed to keep out rain, snow and dust—and it’s also bombproof. Built like a tank, the Leica SL feels like a cross between a chunk of solid metal and a tricorder from Star Trek. But the weight and bulk detract from the experience of shooting with the SL, and the contrast-detection focus isn’t as fast as the phase-detection systems from Sony or Fujifilm, and the high ISO performance left us wanting. It’s a new day in photography, one where choices abound as both the traditional SLRs and the mirrorless cameras cohabitate, bringing a wealth of shooting possibilities to the photographer. The impressive low-light capabilities of the Sony a7S II—as demonstrated in this shot of the Aurora Borealis as seen in Iceland—helped clinch the full-frame Sony as our pick for Best Mirrorless Camera. Photo by Colby Brown. 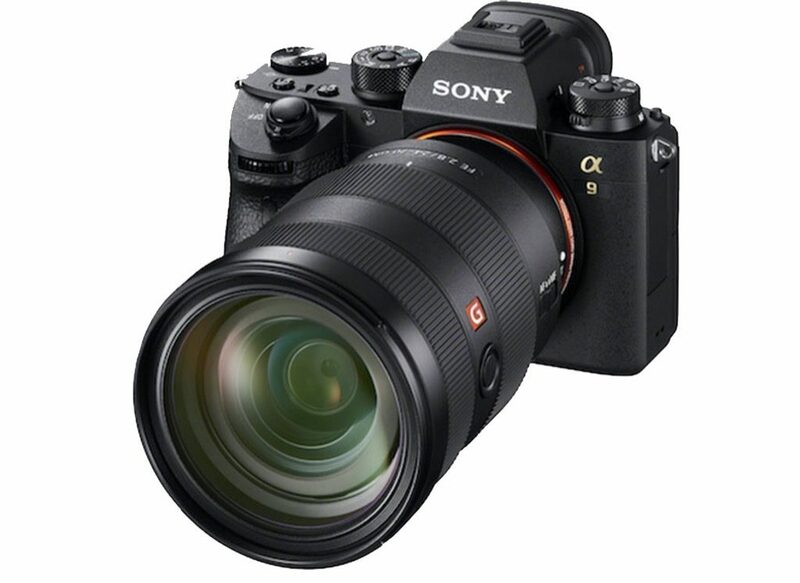 The combination of excellent image quality, phenomenal video performance and the best AF system in mirrorless cameras helps the a7S II shine in an increasingly crowded category. The Sony a7S II is the perfect mix of still image quality and 4K video capture. While the a7R II and a7 II have larger sensors, they’re not as capable in low light—even with the BSI sensor in the a7R II. The a7S II is also part of a family of products that’s growing almost monthly. We’ve seen a new product from Sony (a lens or an accessory or a body) about every six weeks for more than a year. The a7S II has phenomenal video performance, able to capture 4K video to an internal card with no pixel binning—a technique that reduces the data overhead of 4K video by grouping some pixels together for one shared (and lower-quality) reading. The Leica SL is the company’s newest camera, and the first truly mirrorless system from Leica. (Their M-series cameras are technically mirrorless, as well, as they’re rangefinders.) The ground-up engineering for the 24-megapixel SL creates a mirrorless camera that looks like nothing else on the market. Sleek, solid and supremely weather-resistant, the SL can take shots in just about any condition. It can also take them nearly as fast as Nikon’s flagship D5, with a 11fps capture rate. Were the AF, buffer and ISO performance a tad better, and were there more SL-specific lenses, it might have taken the crown. In any case, it sets a new benchmark for build quality, something the other companies will have to work hard to match. The Fujifilm X-Pro 2 is a wishlist fulfilled for Fujifilm shooters and the best APS-C body designed for pros. The highlights include a 24-megapixel sensor, 273 autofocus points (169 phase-detect points) and weather sealing—something that’s crucial for pros. The camera has a high-resolution hybrid EVF/OVF that springs from its rangefinder upbringing, and it’s an interesting take on the interface between camera and shooter. The X-Pro 2 upgrades nearly every spec of the previous X-Pro 1 and tweaks the industrial design to create a more comfortable and usable body, as well. You’ve got to hand it to Olympus; they know how to make a camera that both performs and tugs on your heartstrings. The Olympus PEN-F is the digital version of the company’s original PEN-F of the 1960s, and it shares a similar design sensibility. While some companies release retro-looking cameras as a marketing ploy, the new PEN-F actually feels like the original, which was a well-designed, unobtrusive street shooter. The PEN-F has a high-res, 20-megapixel MFT sensor, a vividly realistic 2.36-million-pixel OLED EVF and control surfaces that make manual shooting and customizing a joy. The camera can combine images into a 50-megapixel final file, and it has 5-axis stabilization and shooting up to 20 fps when using the electronic shutter. The Sony a6300, which supersedes (but doesn’t replace) the a6000, is a scorching performer. With 425 phase-detection AF points spread out over the imaging area, it’s hard not to catch the action with the a6300. The a6300 can capture at 11 fps even while autofocus and exposure are active. The viewfinder refreshes incredibly quickly during high-speed capture, something that’s often an issue with mirrorless systems since the sensor stops providing the viewfinder video feed while images are being recorded. Thanks to the crop factor of APS-C, Sony’s longer lenses get a reach boost on the a6300, perfect for sports shooting. The Panasonic Lumix DMC-GX8 is the latest in the company’s excellent line of MFT mirrorless cameras. While Olympus has often concentrated on still imagery, Panasonic has concentrated on video. That doesn’t mean the GX8 isn’t a good still-image camera, it is. With a 20-megapixel sensor and 10 fps burst mode, the GX8 can keep up with the offerings from Olympus on most shoots. But what sets the GX8 apart is the excellent 4K video capture. A “4K Photo” mode makes it easier to grab stills from the resulting footage. The GX8 has a number of improvements over the GX7, including a better EVF and a touch-screen pivoting display. Dual IS vibration reduction in the GX8 combines the stabilization in the camera’s sensor with that on stabilized lenses for even better performance. Apologies for the brash honesty beforehand. “Pros.” We hear that so often it sounds like a mantra. As far as the cameras are concerned, full format…don’t make me laugh “35mm.” 6,000 bucks camera… They’re all over priced for what they actually give in real terms. In manual on an aps-c mirrorless with good glass or even 4/3 old mediocre you can capture those images that are real photography and not those studio contrived set ups with 30+ grand equipment that look contrived, fake, unnatural, void of soul and are amongst those that they tell us is what it should be,and art. Those who have an eye know (and it is not insult) they don’t even know what they are looking at or for. The only difference between a professional and amateur is that one is paid and one is not…also depending on circles you move in and where you can afford to get with your equipment to catch that so called money/ prestige shot. How much do you think it costs to get to some Latin American high hills jungle labourer’s location to get your ‘whatever magazine’ prize shot? The snobbery sickens me, as much as accepted and extolled so called taste and what passes for “art,” after it has spent thirty minutes in lightroom one2one or whatever, looking like some miramax cgi/ HDR plastic fantastic cool, dehaze/clarity/contrasted/high-low light, etc…So you spent a modest 4,000 on your bag of tools to spend another bundle for post processing…so what’s the point of this super expensive gear? There is currently no one completely sufficient full equipped asp-c mirrorless body with weathering, lens options at the price it should be at…full stop! They are all compromises and most overrated…seriously, post process lens corrections, and moiré on thousands worth equipment, is the glass optics so undeveloped?? (Some of us are cross disciplined in high end IT) How many of these unbiased comparisons can we truly trust? very few. I won’t buy Nikon or Canon and the mirrorless Olympus let me down with a convenient out of guarantee lens system failure and I had Olympus film cameras before. The money I invested in second hand pro glass was a near waste. Angry photographer who doesn’t photograph any more. If you work hard for your money, love photography and commissioners try at every turn to take advantage, what can you expect? Oh they love the work, but don’t want to pay its unquantifiable value. Canon, Nikon, Sony, Panasonic, Olympus, Fuji, etc. will not make you the photographer anyone could wish to be. Sorry to see that photography and camera gear have you so upset. The market uses “pro” to refer, generally, to features requested by those making a living taking images, specifically in harsh or challenging conditions. There is no rule saying an amateur can’t use products that are aimed at the professional, and there’s no rule saying professional photographers can’t use product that are aimed at consumers. But the design and performance of cameras can, and historically has been, evaluated according to the customers it targets. This is true in photography, and in other markets as well. I don’t think that anyone feels that expensive camera gear used poorly makes the images any better. A poorly composed image from a studio photographer with a lot of equipment is a poor image, regardless of the price tag of the equipment. An image that is over-processed is a bad image, regardless of what camera its made with, that’s absolutely correct. A great image from a low-priced camera is a great image regardless of the camera it was made with. Often what separates a pro camera from an enthusiast camera is the ability to take an image, in a given condition, reliably, repeatedly, and with enough quality that a professional could depend on it. For example, you can shoot a marvelous sports image with a medium format camera, but you can’t shoot 20fps with that medium format camera. It doesn’t mean that the medium format camera isn’t good, it just means it’s not the right choice for the average professional in that market. We do, however, judge camera gear based on the target market. If a company says a camera is designed for the professional photographer, yet it has sluggish autofocus and takes a long time to process images, that’s a professional camera that performs poorly. It’s not granted any special status because the word “pro” is in the marketing. In fact, we judge cameras that are marketed to the professional at a higher standard than those marketed to consumers. Things we look at at any camera marketed toward pros is image quality, dynamic range, ISO noise, color fidelity, AF speed, AF accuracy, processing times, battery life, connectivity and ergonomics. We see very few lenses these days at the upper-end of the market that exhibit significant optical problems. The era of computer-based lens design has resulted in an overall improvement in lens quality. Moire, incidentally, is an issue at the sensor, not with a lens. It occurs when a frequency of a pattern is the same as the alignment of the pixels on the sensor. Regarding your use of Olympus gear–I’d never advise judging a system based on second-hand products, and I wouldn’t judge all cameras based on your experience with one camera and used lenses. That’s especially true when you’re talking about digital cameras and your negative experience was with a film camera. As far as price, I disagree with your comments about APS-C cameras that are weather sealed and a good price. The Fujifilm X-Pro2 is notoriously well weather-sealed, with many photographers using it in downpours with no issue. The optical quality of Fujfilm’s lenses is legendary. As the Editor-In-Chief of Digital Photo magazine, I have more than 20 years experience as a journalist in this market, and am particularly known for saying exactly what I think about something. I’m sorry that you don’t believe in unbiased reviews in our publication, but we don’t pick cameras for these awards if they don’t do what they’re supposed to do, and don’t do it well.